Being well equipped for the golf course means far more than having the right irons, woods and wedges in your bag. To feel totally prepared for action, there are so many additional accessories that can give you the edge. Golf is a game of fine margins and ensuring every aspect of your kit is as good as it can be could prove the difference between success and failure on the fairways. Here, we look at some of the best golf accessories on the market this season. Gone are the days of searching for 150-yard marker posts and pacing out vague yardages. Distance measuring devices (DMDs) allow you to select a club with confidence, safe in the knowledge that you have the right yardage. There are two principal types of DMDs – the GPS system and the laser rangefinder. The former relies on satellite positioning and is easy and quick to use. The latter can give a more precise distance to the pin by firing a laser that rebounds off the target. However, this obviously won’t work if there is something, like a tree or a hill, between you and the target. RRP: £329.99 – With an incredible four-inch LCD screen, this is a premium product. Not only can you zoom in on each hole to look more closely at its features, you can also collect statistics and scoring data. Garmin Approach S20 RRP: £179.99 – The beauty of this watch is how light it feels on the wrist. It looks stylish but also includes a raft of technologies and features. Not only does it give accurate yardages to greens (front middle and back), it also picks out hazards, lay-ups and dog-legs, while collecting activity data for post-round analysis. 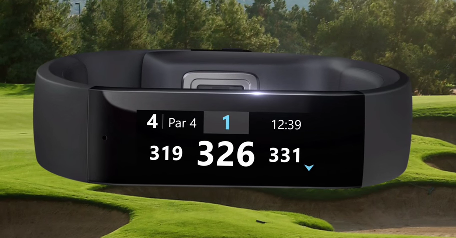 Microsoft Band RRP: £169.99 – Microsoft teamed up with TaylorMade to create the Golf Tile for the Microsoft Band. This provides comprehensive information on yardages and also health information on calories burned off, heart rate and steps taken during your round. This can then be reviewed using the Microsoft Health app. Bushnell Tour V4 Shift RRP £379 – Bushnell led the way in golf laser rangefinders and they still produce market-leading products. This one is lightweight, 100% rainproof, can pick up a flag up to 400 yards away and measures larger objects up to 1000 yards away. Nikon Coolshot 80VR RRP £219 – Lightweight and reliable, this device can measure up to 650 yards. 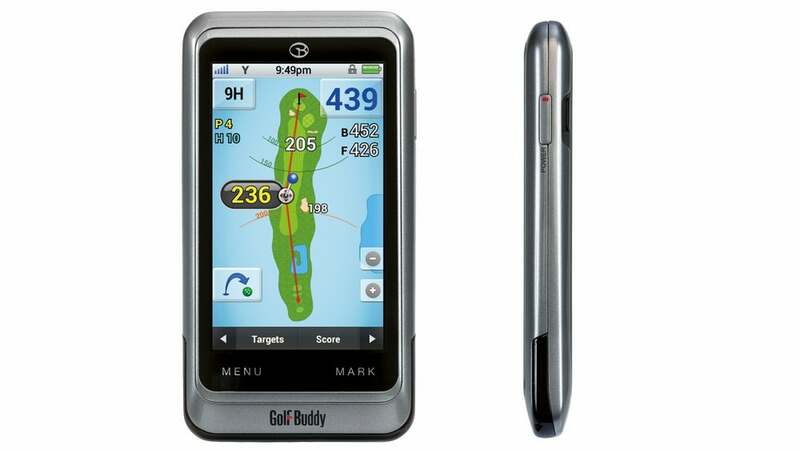 GolfBuddy LR7 RRP £229 – Compact and easy to use, it scans for 10 seconds to show distances to varying targets. FootJoy StaSof RRP £20 – Incredible, tour-proven feel and softness. Callaway Tour Authentic RRP £15.99 – Premium grade leather with great fit and comfort. Srixon Cabretta Leather glove RRP £12.99 – Soft, fitted glove with lycra across the knuckles for extra comfort. 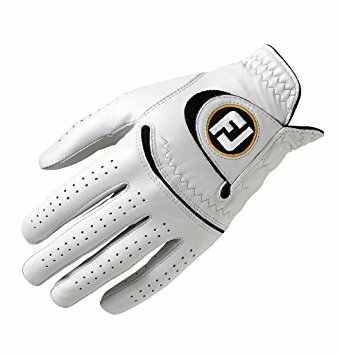 FootJoy WeatherSof RRP £10.99 – This is the best-selling glove in world golf – and it’s easy to see why. It functions in all conditions, provides great grip and is built to last. 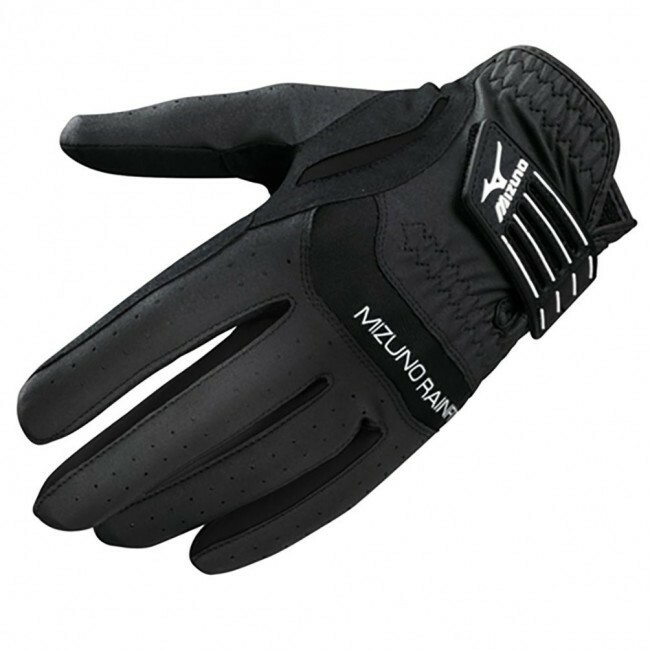 Mizuno Comp RRP £8.99 – It’s synthetic but with a leather thumb and palm for increased feel. TaylorMade All Weather RRP £10.99 – Durable performance from combination of leather, synthetic and lycra panels. FootJoy Rain Grip RRP £11 – It actually grips better the wetter it gets! Srixon Rain gloves RRP £14.99 for a pair – Superior microfibre fabric maximises grip in any conditions. Mizuno RainFit RRP £19.99 for a pair – Features patented technologies to enhance grip. A synthetic suede developed in Japan increases grip as it gets wetter. PING Tour Double Canopy RRP £44.99 – It’s 68” across and the double canopy prevents it bending in the wind, but it’s lightweight too with fibreglass ribs. Callaway Double Canopy RRP £29.99 – Slightly smaller with a 60” diameter, but lightweight and will stand up to tough conditions. Gustbuster 62” Double Canopy RRP £34.99 – Gustbuster set the standard for producing hardy and durable golf umbrellas and they continue to produce quality products like this. Callaway Tri-Fold RRP £9.99 – Compact and absorbent with easy-use clip. Titleist Microfibre RRP £17.99 – Waffle weave construction and polyester/nylon mix for maximum absorbency. Quick drying. Mizuno Tri Fold RRP £14.99 – 100% cotton fabric. Large when opened but still compact on the bag thanks to tri-fold. Easy to attach thanks to carabiner clip. No serious golfer takes to the fairways without a pristine pack of white wooden tees in their bag. Watch golf on TV and how often do you see one of the pros using anything other than a white wooden tee?Exactly. You can get these from most professional shops,but look out for the options from Masters which are available in a range of lengths. 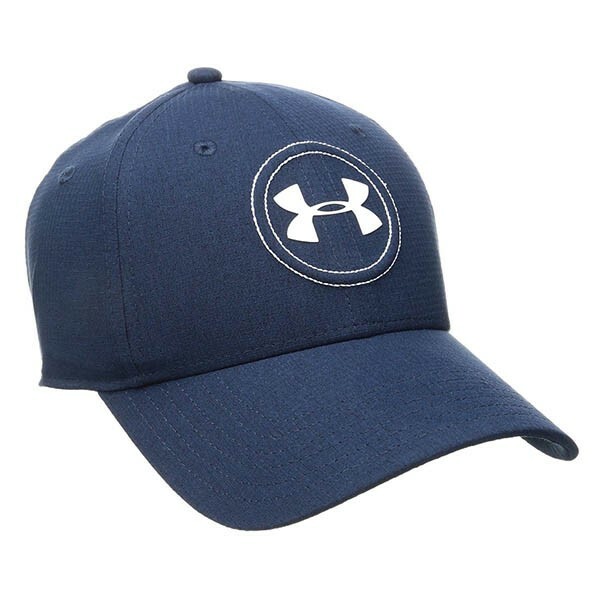 Under Armour Official Spieth Tour 2.0 RRP £17.99 – If it’s good enough for a three-time Major champion, it’s good enough for us. This cap is lightweight with a structured design and provides excellent protection from the sun. Callaway Mesh Fitted RRP £14.99 – Lightweight, comfortable, breathable and stylish… What more could you ask? Mizuno Chrome RRP £17.99 – Great +40UPF sun protection, it’s perfect for summer golfing. It also looks good and can be worn both on and off course. It’s important to mark your golf ball so that you can identify it all times, whether it’s in the roughor adjacent to another ball of the same make. The go-to tool for doing this is the classic Sharpie Permanent Marker and all golfers should have one, or a selection, in their bag. Whether you use a simple dot, your initials or a more ornate tag, personalising your ball gives you certainty that you won’t play the wrong one and nobody else will play yours by mistake. Go for the Sharpie Mini selection pack RRP £5.99 – Four mini markers in black, blue, green and red so you can get really creative in personalisation. If you’re taking to the golf course with any of these accessories, you need specialist golf insurance. Thankfully, you’re in the right place, as our cover protects your equipment against loss, theft and damage. Get golf equipment insurance up to £5,000 with Golf Care today for total peace of mind!